Vidya Balan needs no introduction whatsoever. She is not only the queen of Bollywood but also the queen of many hearts because of her unusual selection of movies and her commendable acting skills. The actress has time and again broken stereotypes in Bollywood by playing characters other actresses wouldn’t ever attempt to. Let’s have a look at the 5 Vidya Balan Movies that prove that she’s the ultimate queen of Bollywood. Vidya Balan had no qualms in putting on weight for ‘Dirty Picture’. While some actresses are extremely conscious about their weight and would not opt to put on weight for a movie, Vidya broke all the stereotypes by doing what the movie demanded. The queen of Bollywood has proved umpteen number of times that you don’t need a male actor to make the movie a hit. 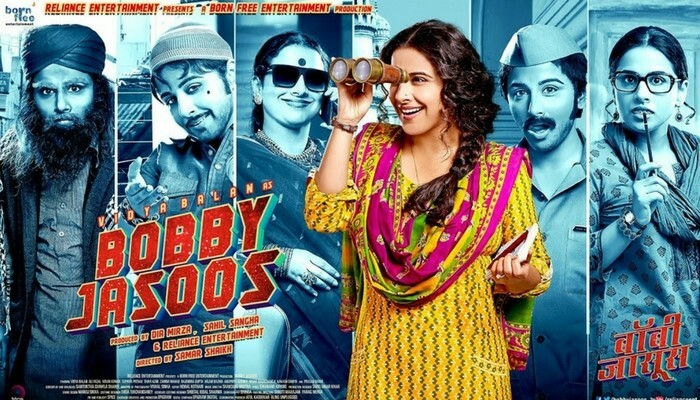 Vidya Balan proved it when she totally rocked a woman-centric film like ‘Bobby Jasoos’. People cannot imagine a woman being a part of a thriller but Vidya Balan aced it in ‘Kahaani’ and ‘Kahaani 2’ and that too is in a lead role. The actress sure did have all of us gripped. While Vidya has played black and white characters in Bollywood, she did not hesitate to play a grey character. Vidya played a grey character in ‘Ishqiya’ and her fans absolutely loved her. Vidya Balan brought us a slice of life with her acting skills in Tumhari Sulu. The brilliant actress brought to life the character of the house-wife Sulochana and did absolute justice to it. Sony MAX will soon be bringing Sulu and her cute antics on TV with the world television premiere of Tumhari Sulu on 25th February at 12 pm.